Just About Anything: Got My Book! 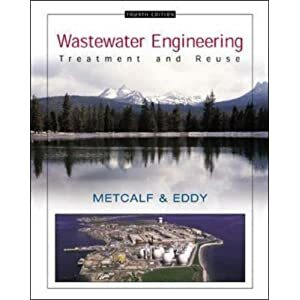 I finally got my Wastewater Engineering Treatment and Reuse book yesterday. It is the 4th edition book by Metcalf and Eddy and I bought it for only €35 at one of the university institutes. It is normally priced at €59,99 on Amazon and because it is very cheap, I bought it. But how I got the book was quite interesting because I had to personally get it from the institute myself and it is located not within the university but outside the university. Getting there was quite a task. It was raining yesterday and I had to catch the bus from the university that will take me to the Am Schattwald bus stop. Then I had to walk for about 15 minutes from the bus stop to the institute, which is located on the edge of a forest. I wouldn't mind the walk if it wasn't cold and raining but yesterday was another story. To distract myself, I thought about the beautiful houses I saw along the way and dreamt about owning our very own home with enough space for a backyard garden. Then I arrived at the institute, got the book and paid for it and then walked my way back to the bus stop to wait for the bus that will then take me back to the university. I only spent less than five minutes to actually get the book but it took me almost an hour just to get to there and back.